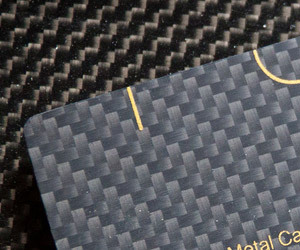 I initially was going to add this to the Crazy Business Cards post but then thought these kinds of business cards deserved a post of their own. 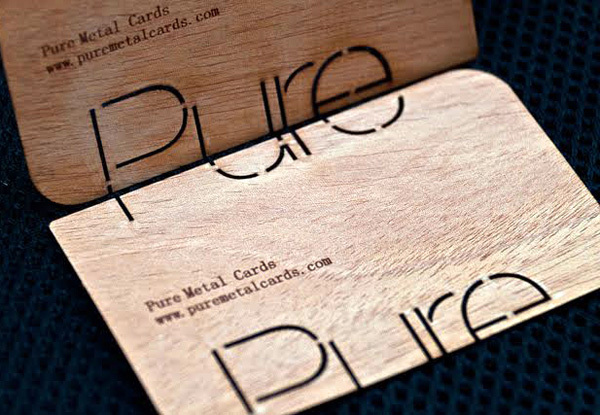 Before searching for edible business cards, i thought this kind of business card was just really outrageous but seeing as how there are different kinds of edible business cards being made nowadays, i realize that maybe they’re becoming the new trend(aside from pokens or digital business cards, which I’m not entirely sure if they’ve caught on yet).Edible business cards are made of different kind of food-stuffs now and it’s fascinating to see the food items that have been made into business cards so far. 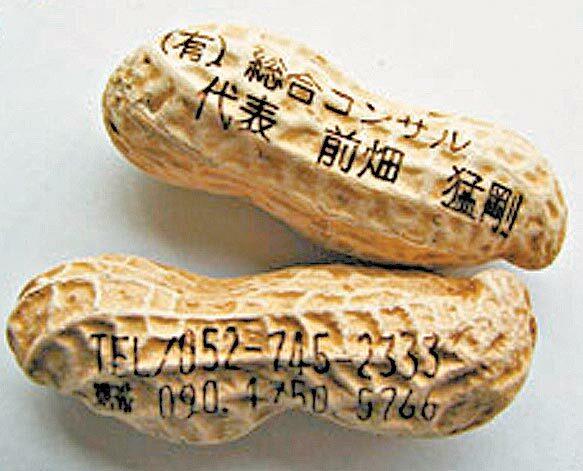 Take a look at these edible cards that I’ve encountered during my search for them. 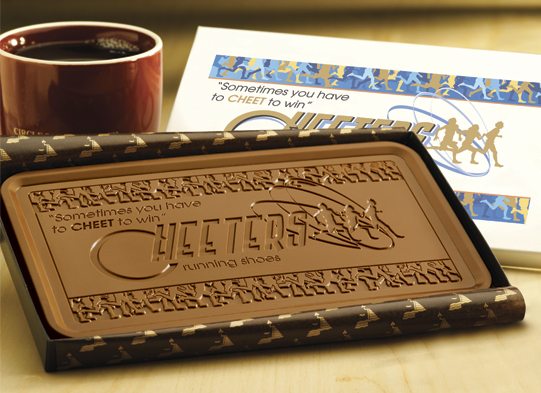 I’m pretty sure you’ve all heard of the infamous beef-jerky card. 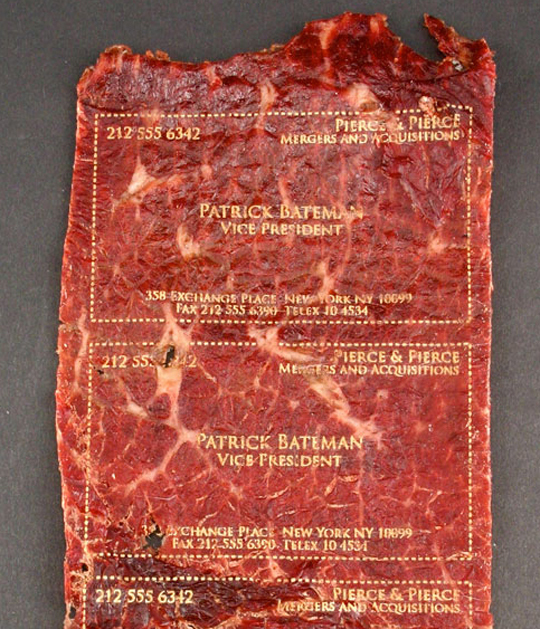 If you ever decide you want one, MeatCards.com makes them. 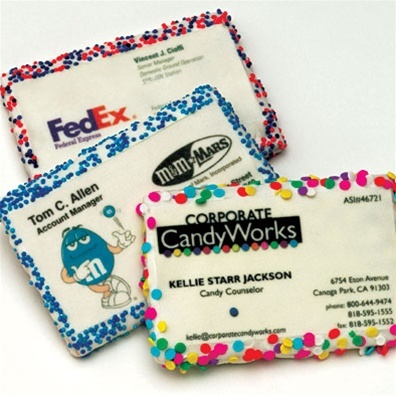 How about sugar-frosted cookie business cards? Who would turn these down really? 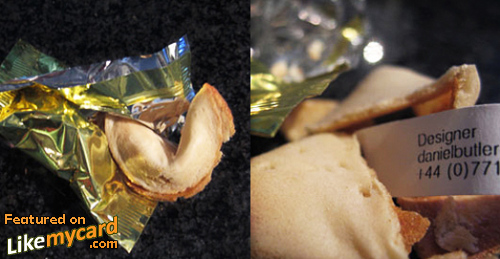 They look positively scrumptious. These are available from Good Fortunes. 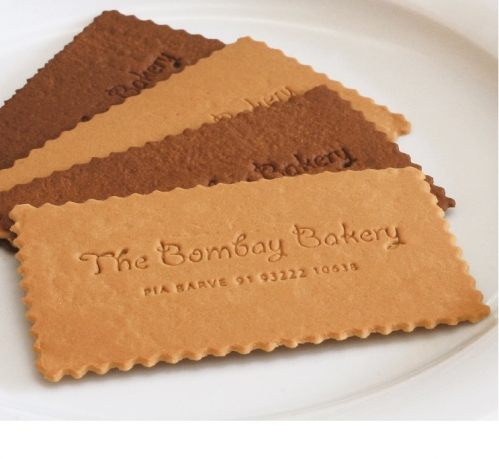 There’s a cookie business card variety without the frosting as well. 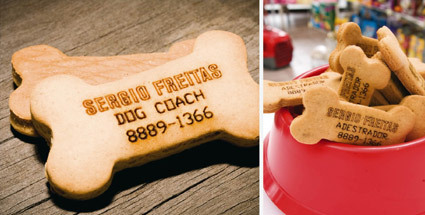 And then something for the dog as well. 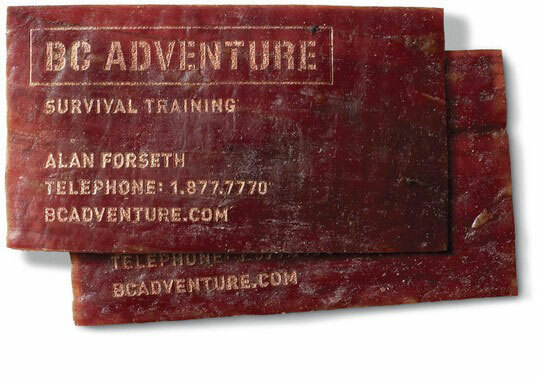 This one needs to be refrigerated: Ice Cream cake business card. 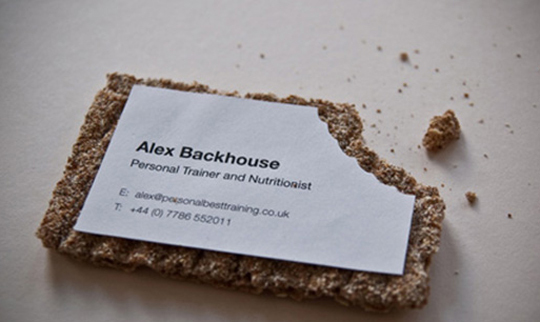 Edible business cards nowadays aren’t limited to bakers and personal trainers. 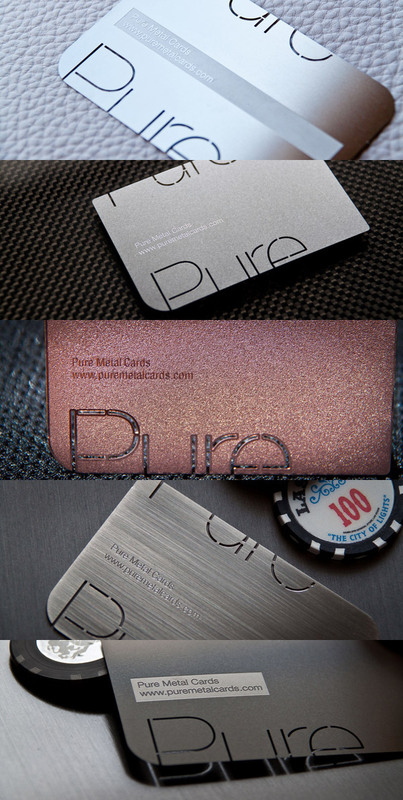 These business cards attract clients no matter what your industry is. After all, it’s free food. 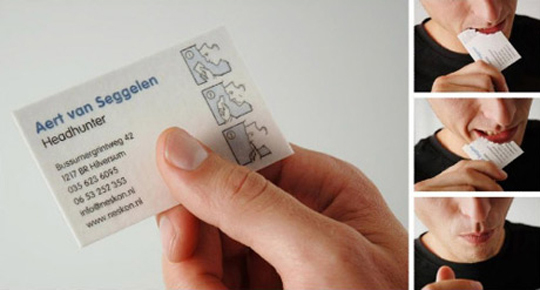 These cookie business cards are getting me hungry.